You can mark up an Adobe PDF in Adobe Reader. 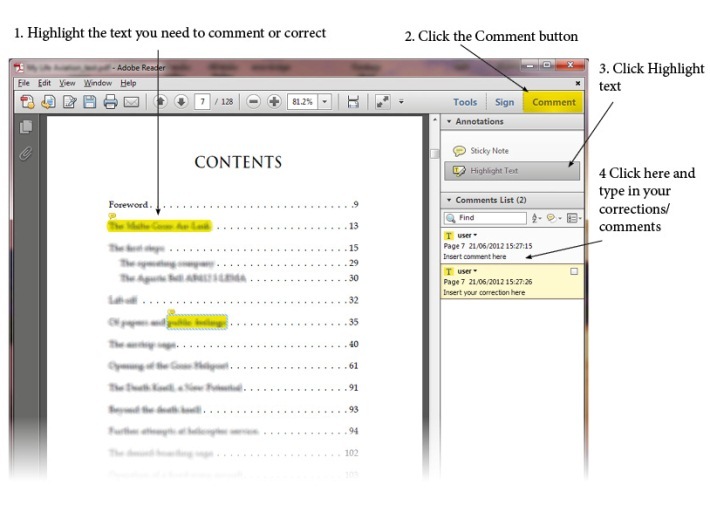 Below screen shot shows you a quick step through to start commenting PDF files. You can also watch the video below for a more step-by-step guide and exxample. This video shows you how to gather feedback from virtually anyone by enabling the commenting tools in Adobe Reader. Click the image below to view video. To download the latest version of Acrobat Reader, click here.